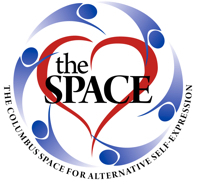 Columbus Space for Alternative Self Expression - Floggers and Flogging - Who? What? When? Why? Floggers and Flogging - Who? What? When? Why? Join us as Master Shadow answers these and other pressing questions on the subject of flogging: sensual to ouch *@!#? The art and essence of flogging, brought to you by Master Shadow. Master Shadow has been swinging floggers for over ten years, and will share the in’s and out’s of playing with floggers safely.